Rafael J. Guzman earned a Bachelor of Arts in Sociology from the University of Illinois in Champaign-Urbana in 1999. After graduation he worked as a Juvenile Probation officer for Whiteside County in Morrison, Illinois before embarking to legal studies. He attended The John Marshall Law School in Chicago, Illinois and graduated in 2005. While in law school he was an executive member of the Latino Law Student Association, member of Habitat for Humanity, Fair Housing Association and Phi Alpha Delta. He also worked at The John Marshall Fair Housing Legal Clinic, under the guidance of Professors F. Willis Carusso, Joseph R. Butler and Damian Ortiz, representing numerous victims of housing discrimination. 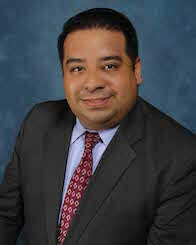 He was a board member of the Illinois Latino Law Student Association (ILLSA) from 2004 to 2005. ILLSA was created in an effort to increase networking opportunities for Latina/o law students across Illinois and to build alliances between the Latino student associations at all of the law schools in Illinois. Being bilingual, he works with a number of Spanish-speaking clients informing them of their rights under the Workers’ Compensation Act, traffic, personal injury, criminal defense and what can be done for them. Specialties: Worker's Compensation, settlement negotiations, litigation and arbitration.